At Morgan Dental Care, you’re not just a patient – you are part of our family. Everything our team does is 110% focused on you, and we work exceptionally hard to ensure your time with us is exceedingly positive. Contrary to popular belief, regular dental care doesn’t have to be a dreaded, unpleasant experience. Instead, it can be comfortable, satisfying, and ultimately life-changing with the support of the right team. 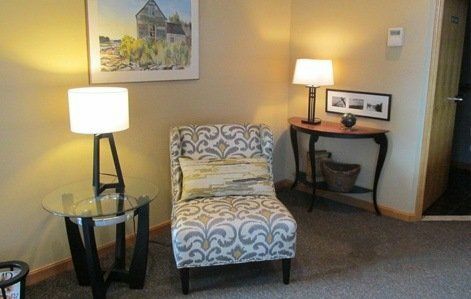 We want patients to leave our Gorham dental office not only looking good but feeling good, too – no exceptions. SIGN UP FOR DENVANTAGE TODAY! 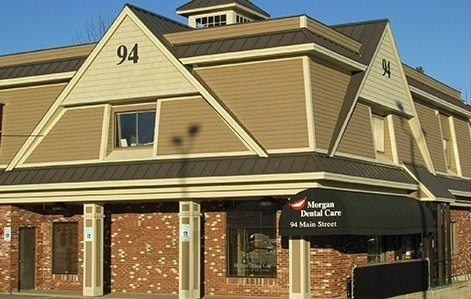 At Morgan-Hill Dental Care, our doctors are a well-oiled machine, working collaboratively every day in order to ensure that each patient receives the dedicated, comprehensive smile transformation they deserve. 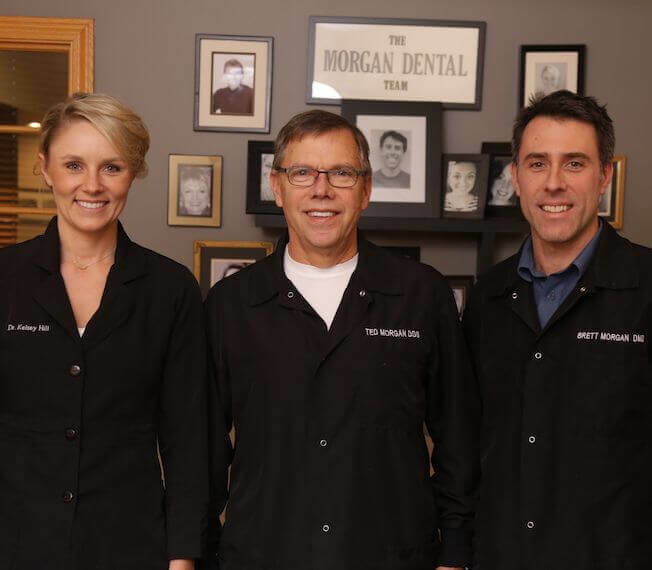 Dr. Ted Morgan, Dr. Kelsey Hill, and Dr. Brett Morgan (Dr. Ted’s son) do a great job of combining their unique skills and experiences with a shared passion for treating people as people, not just a mouthful of teeth. They can’t wait to meet you and your family soon! 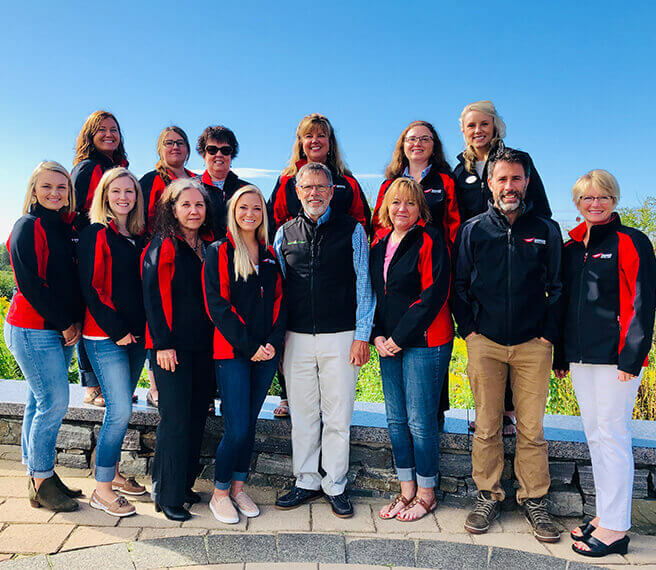 Our team members here in Gorham are the true heart of the dental office – in fact, many of them have been with us for 20 years or longer! 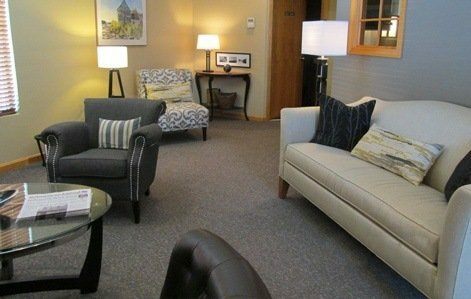 From the front desk to the treatment operatory, they’ll be doing their very best to make your visit enjoyable and stress-free. Building relationships is a crucial part of our care philosophy; we love getting to know patients and their families very well over time, seeing everyone grow and helping them always feel right at home. Finding the best dentist in Gorham for your family just got a little easier. We like to think our unique blend of exceptional service, quality dentistry, and relaxed atmosphere truly set us apart –– but, don’t just take our word for it. Schedule a complimentary first visit or second opinion to just talk with us and get to know our all-star dental team. We’ll figure it all out, put together a treatment plan, and work hard to exceed your every smile goal. Everyone’s got different goals in mind for their teeth, whether they’re ready to achieve a more confident appearance or finally get a sore spot taken care of. Maybe you’re not even sure what you need! That’s no problem at all – our dentists will be happy to help guide you towards the stronger, healthier, and happier smile you deserve. We want every stage of the treatment process to be a smooth experience for patients, including when it’s time to pay their bill. 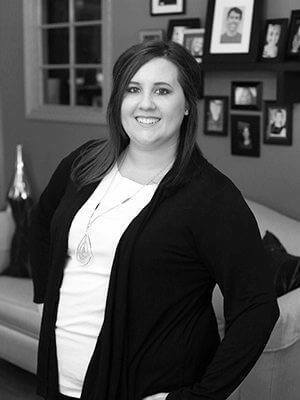 Our patient coordinator Natasha is a true expert when it comes to navigating the various in’s and out’s of the dental insurance world, and she’ll be happy to file claims on your behalf for most major plans. No insurance? Not a problem – we also have an in-house membership plan that offers big benefits for a flat yearly fee, and payment plans can be arranged as well!